Zachary Ugolnik (pronounced you-goal-nick) is a Ph.D. Candidate in the History of Christianity in the Department of Religion and a Mellon Interdisciplinary Fellow at Columbia University. He specializes in early and medieval Christianity in the eastern Mediterranean and Near East, its interaction with Islam, and critical theory, especially in regards to questions of subjectivity. Zachary’s works engages the fields of theology and philosophy, performative and ritual studies, the history of science (especially optics), and material and visual culture. He also considers Islam and Christianity from a comparative perspective, the intersection of religion and popular culture, and issues of identity and difference. 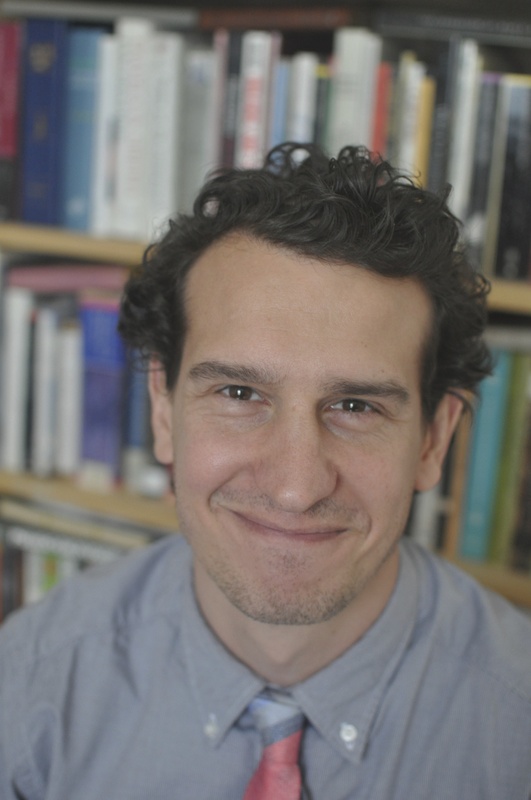 In May, he will defend his dissertation, “The Mirror of Glory: Sense and Subjectivity in Near Eastern Mysticism.” His work has appeared in Journal of Religion, Religion & Literature, and Harvard Divinity Bulletin among other print and online publications. This past fall, Zachary taught a course of his own design, Byzantine Christianity: Relevant and Rich, at Fordham University in Lincoln Center. And in the fall of 2016, he taught a course in the Global Core at Columbia, titled “I” and “We” in the Christian “East”: The Making of Identity. These courses provide an introduction to the history of Global Christianity. He has worked as a Teaching Fellow at Columbia in courses on Christianity, Islam, East Asian Buddhism, Religion in the Modern World, and Tantra in Asia & the West. In 2016-2017, he served as the Lead Teaching Fellow for the Department of Religion at the Center for Teaching and Learning. This year, continuing his interest in pedagogy and the craft of writing, he is working as a Writing Consultant at the Columbia University Writing Center. In addition, he won a fellowship as a Editorial Intern at Public Books. He earned his M.T.S. from Harvard Divinity School in 2009 and his B.A. from Syracuse University in 2004 (Honors in Religion and International Relations with a minor in Photojournalism). Zachary has lived and studied in Jordan, Russia, and Japan. He currently lives in Morningside Heights in New York City with his wife and two daughters. When he can, he enjoys hiking, biking, and being outside. “Internal Liturgy: The Transmission of the Jesus Prayer in the Philokalia and The Way of a Pilgrim (Rasskaz Stranika),” Religion & Literature 48, no. 1 (Spring 2016). “Names Matter: How to Better Represent the Orthodox Churches in Textbooks and the Academy,” The Journal of Religion 96, no. 4 (October, 2016). “The Reflexivity of Love: Fakhruddin ‘Iraqi’s Divine Flashes and St. Symeon the New Theologian’s Hymns of Divine Eros,” in Love, Marriage, and Family in Eastern Orthodox Perspective, edited T.G. Dedon & S. Trostyanskiy (Piscataway, NJ: Gorgias Press, 2016). “The Monk Philosopher in Yaḥyā ibn ‘Adī (d. 974) and Severus Ibn al-Muqaffa’ (d. c. 987),” in Orthodox Monasticism Past and Present, edited by John McGuckin (Piscataway, NJ: Gorgias Press, 2015). “Beyond the End of the World: My Time on an Offshore Oil Platform,” Harvard Divinity Bulletin Summer/Autumn 2011 (Vol. 39, Nos. 3 & 4).